LOS ANGELES — A one-hour TV program which aired this week on PBS links an incredible Holocaust escape story to advanced scientific techniques. “Holocaust Escape Tunnel,” a “Nova” production April 19, sheds new light on the attempt by 80 imprisoned men and women — mostly Lithuanian Jews — to make a break for freedom in the face of Nazi bullets. The show documents the application of scientific methods to verify what would otherwise be a nearly unbelievable story. The documentary is set in and around Vilna, the Yiddish and Hebrew designation for Vilnius, the capital of Lithuania. At its peak, before WW II and the Holocaust, Vilna was known as “The Jerusalem of the North” and described as the focal point of Jewish civilization, with famous yeshivas, rabbis and scholars. 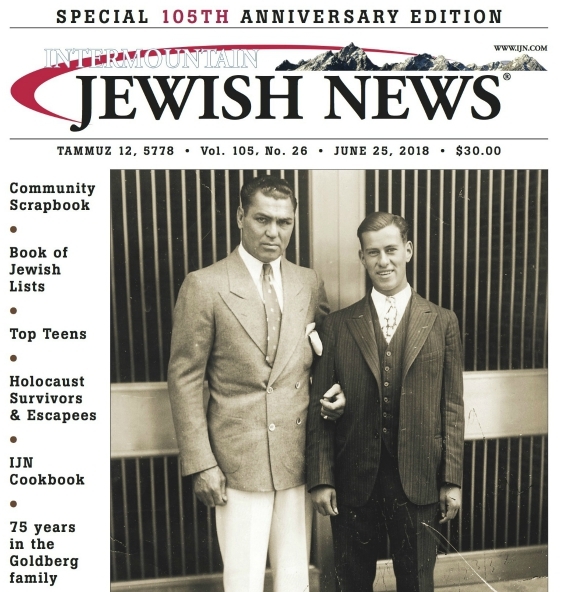 As the film notes, the city boasted a Jewish population of some 77,000, had 105 synagogues, the largest Jewish library in the world and six daily Jewish newspapers. The vigorous Jewish life in Vilna started to decline in 1940, when the Soviet Union absorbed Lithuania. It was almost completely destroyed after German armies attacked Russia in 1941, quickly conquering Lithuania. Within a year Nazi bullets — in the days before Auschwitz-type gas chambers — killed most of the Jews and tossed their corpses into huge pits in the nearby Ponar Forest, initially dug by the Soviets to store fuel and ammunition. One pit alone held 20,000 to 25,000 corpses. In late 1943, with Russian armies advancing from the east and partisans attacking German supply lines in surrounding forests, Hitler’s headquarters in Berlin decided to cover up the monumental massacre by ordering that all the bodies be cremated. The Germans ordered the region’s surviving Jews, along with some Russian prisoners of war, to first chop down large trees in the forests, cut them into planks, form huge layers of wood, spread the bodies between the layers and then set them aflame. Methodically, the Germans formed 10 “burning brigades,” each consisting of 80 prisoners, mainly Jewish. After a day’s work, the “burners” were held in pits and their feet shackled. One such unit, consisting of 76 men and four women, decided it was duty bound to pass on the truth to the world and future generations. The prisoners freed their legs by cutting the shackles with a smuggled-in file and, for the next 76 days, using only spoons and their hands, carved out a two-by-two-foot-wide tunnel extending 130 feet. April 15, 1944, the last day of Passover, was set for the escape. As the first prisoners left the tunnel, guards opened fire and killed almost the entire group. But 12 made it out and cut through the wire fence. They joined a detachment of partisans commanded by the legendary Abba Kovner. At the end of the war, all but one of the escapees were still alive and eventually settled elsewhere, mainly in pre-state Israel and the US. Among the thousands, if not millions, of post-Holocaust remembrances, the story of the Vilna escapees was met with widespread skepticism even by the future wives and children of the 11 survivors, said historian Richard Freund, who is prominently featured in the documentary. The skepticism was fueled by the absence of any physical evidence of the alleged tunnel. Lithuania — already beleaguered by charges of its wartime collaboration with the Germans — showed little enthusiasm for further investigations. In recent years, however, with a change of attitude by a new generation of Lithuanians, their government was ready to seek the truth about the Holocaust and invite outside experts to participate in the endeavor. An initial contact was Jon Seligman, a leading researcher with the Israel Antiquities Authority. Freund, of the University of Hartford, also was interested — he had directed archaeological projects at the Sobibor extermination camp in Poland, as well as at six ancient sites in Israel. Seligman and Freund had initially set their sight on exploring the fate of the Great Synagogue of Vilna, once the center of Jewish worship and scholarship, which had been destroyed by the Germans. The Soviets later razed the remains and built a school there. The two scholars — backed by other experts and teams of young volunteers — made some dramatic discoveries at the Great Synagogue site, but also were intrigued by reports on the escape tunnel. In approaching the latter, the project leaders ruled out using the traditional method of digging into an archaeological site with spades and machines. “Traditional archaeology uses a highly destructive method,” Freund told JTA. Instead, the teams used two noninvasive techniques that are widely employed in gas and oil explorations. One approach was through Ground Penetrating Radar, or GPR, which uses radar pulses to return images of objects found beneath the earth’s surface. The results were analyzed in Los Angeles by geophysicist Dean Goodman, who developed the GPR software. In the second approach, called Electrical Resistivity Tomography, or ETR, scientists investigate sub-surface materials through their electrical properties. The same technique is widely used in medical imaging of the human body. Thanks to these techniques, in 2016 the investigators were able to scientifically confirm the existence and dimensions of a war-time escape tunnel, as JTA reported at the time. The New York Times listed the feat as one of the top science stories of the year. One of the successful tunnel escapees was Shlomo Gol, whose son Abraham (Abe) was born in a displaced persons camp in Munich, Germany. The elder Gol died in 1986 at the age of 77, and his son will be 68 in July. The family initially immigrated to Israel, then moved to the US. Abe Gol, who lives in Pembroke Pines, Fla., told JTA that friends recalled his father as a young man being full of life and a natural leader. However, the father young Abe knew “withdrew within himself” and did not speak of his experiences. The little he learned of his father’s past came in two ways: One was the annual reunion, on the last day of Passover, held by escapees who had settled in Israel. At dinner, when shots of vodka loosened tongues, the men talked of the past, paying no attention to the boy listening in. In later years, Gol discovered that his father had kept a written record of his past, which the son translated into English. One small recollection from the diary: the persistent stink from the combination of kerosene and tar the prisoners had to pour on the wood pyres to fan the flames. With the deaths of the last eyewitnesses of the Holocaust, Freund said, historians will have to rely increasingly on yet unknown scientific and technological advances to preserve and enlarge our knowledge of the great tragedy of the 20th century. My Father’s parents, luckily, migrated from Vilna to England early in the twentieth century, then to New York City, then to Cleveland and there raised their seven children. I heve always been rapt by stories of Eastern Poland and Lithuania.